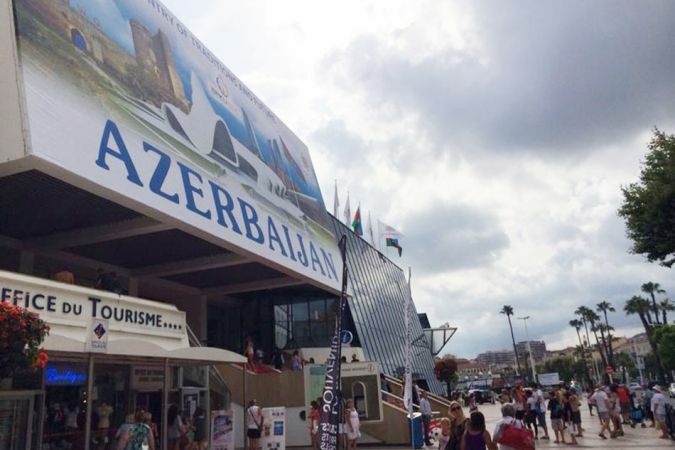 Days of Azerbaijan started in the French city of Cannes on July 8. Launched with the organizational support of the Heydar Aliyev Foundation, the event will run under the slogan "Azerbaijan: the Country of Traditions and Future". The city's public transport has been decorated with banners promoting Azerbaijan. During the days, which will last till July 31, some exhibitions would be held reflecting Azerbaijan's history and traditions, modern art and folk music Mugham, classic and jazz music. Meanwhile, delicious samples of national cuisine would be tasted. The exhibitions include "Looking from the Past, France through Azerbaijani Artists' Eyes", "Azerbaijan: a Land of Traditions and Future" and "Nizami Ganjavi". They will give a chance to French citizens and tourists to get acquainted with Azerbaijan's history, traditions and literature. The event will also feature a project called "From Traditions to Future Azerbaijan Glamour" by the Heydar Aliyev Foundation. Meanwhile a collection of dresses made by Italian fashion designer Renato Balestra based on Azerbaijan's national ornaments will familiarize local visitors with dress traditions and application of these traditions to contemporary fashion in Azerbaijan. An event will also be organized in connection with the presentation of the inaugural European Games to be held in Baku in 2015. A marathon will be held on the Croisette shore to feature efforts by the Organizing Committee under the Heydar Aliyev Foundation to hold the first European Games. The foundation has been successful implementing a series of projects in Italy, France, Greece, Russia and other countries to promote Azerbaijan. These projects are aimed at featuring the old and contemporary Azerbaijan and strengthening relations between countries and nations.